Last night, I attended AAF After Dark at the Affordable Art Fair. AAF is a great starting point for anyone who is newly interested in art, or loves art but doesn't have an unlimited budget for it (works start at $100). 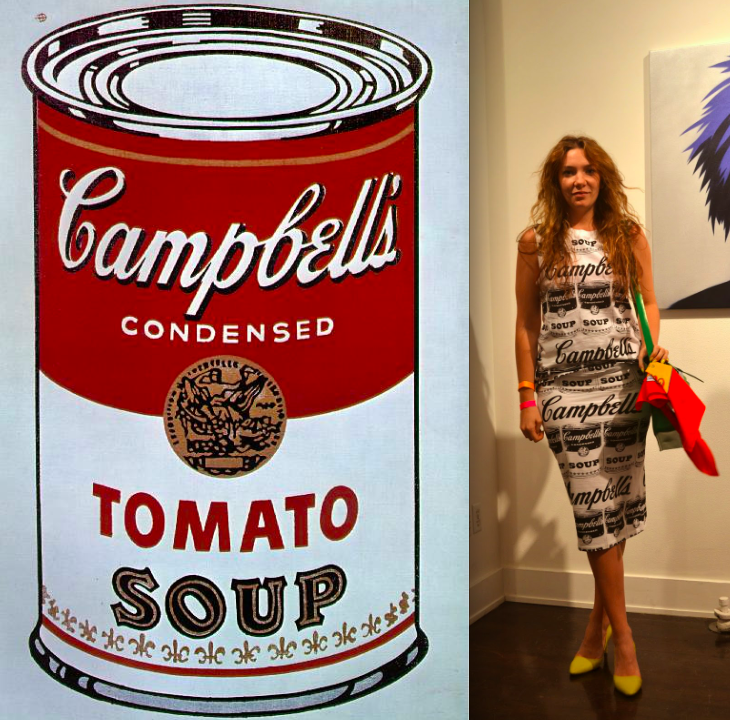 My extremely affordable Warhol-inspired ensemble alluded to the original proponent of the democratization of fine art. Check out my previous Warhol post here. AAF continues through Sunday at the Metropolitan Pavilion in NYC. Photos by Kathy Paciello; Campbell's Soup image from jssgallery.org.